GX Gaming, a specialized brand of PC gaming peripherals and accessories, today launched a new mobile gaming headset with the best bass sound for gaming, ZABIUS M following the recent launch of ZABIUS. Today’s release enhances the gaming sound experience in small portable devices. 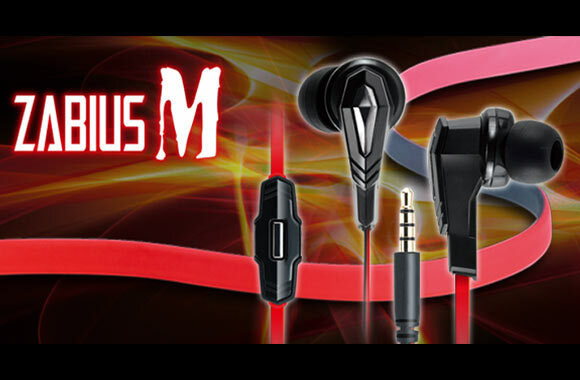 ZABIUS M delivers the best bass sound for gaming with 13mm neodymium driver units, and 3.5mm, 4-pin plug which is compatible with most smart phones. With an in-line microphone, users can also answer calls with simple touch. An adaptor cable allows the Zabius M to be used on a 2‐jack PC or gaming notebook. While on the move, the 2‐color flat cable prevents it from getting tangled. The headset comes in a carrying case that is convenient for travel and storage. ZABIUS M is available in the Middle East and Africa through GX Gaming’s authorized distributor, GCT, and its partners across the region.